In the industry, a “fixer” basically kept the studio and celebrity’s public image crystal clear and clean, no matter what scandals came up everyday. The fixer also made sure that every film was on schedule and the talent wasn’t getting into too much trouble, or at least make it look that way. If the Coen Bros. hadn’t used the title ‘A Serious Man‘ for one of their previous films, they could have used that title here, as Mannix is indeed a serious man, who takes his job of wrangling the kooky actors and film directors very serious. We see just how serious he is in the opening shot of the movie, as he’s in a confessional booth, repenting for his sins, which is only sneaking one or two cigarettes when he’s trying to quit. Even the clothed man on the other side of the booth thinks Mannix should lighten up. It’s no mystery that Mannix’s job is never ending as we journey with him through the gigantic movie studio lots at Capitol Pictures as he fixes a variety of problems on different movie sets. In this, the Coen Bros. sure know their history of Hollywood and take real life situations and films from history and add their famous satire aspect and brilliance to this mystery yarn. The problem though is that there really is no mystery here, or at least any big frightening climax that you would expect from a mystery film. Instead, it is very similar to their previous film ‘The Big Lebowski‘, except without the big-big laughs. It’s similar in that both films involve a “kidnapping”, a ransom, and a sizzled out climax that is over almost as fast as it starts. 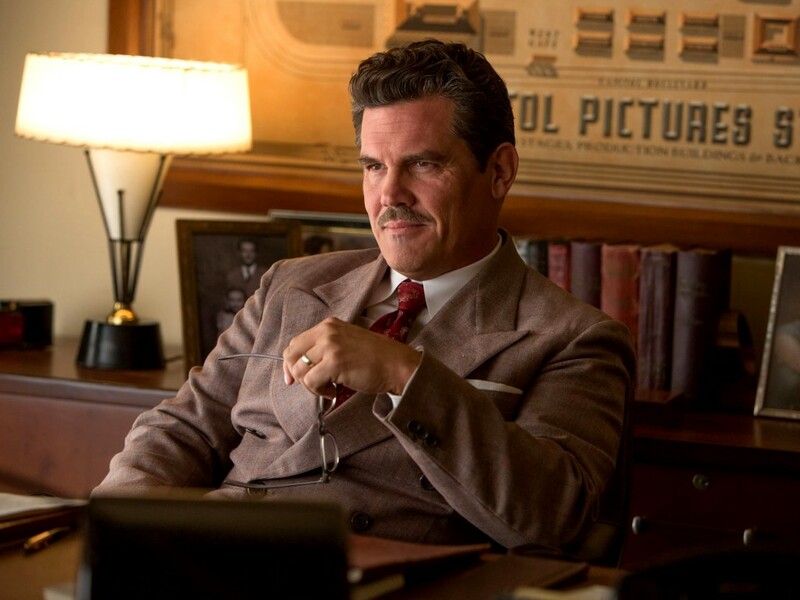 Even if that’s the case here, the Coen Bros. still deliver an excellent story and a few laughs throughout, while winking at 1950’s Hollywood and all of its silly musings. We see Mannix handle a polished, British drama director Laurence Laurentz (Ralph Fiennes), who was forced hired a cowboy from the South, Hobie Doyle (Alden Ehrenreich) who has only acted in Western pictures where his only dialogue were one word quips, but now has to take his twang and twist it around into an art house drama picture. Needless to say that Laurentz’s patience wears thin, even with one line of dialogue. Then it’s off to the set of a mermaid picture underwater where the beautiful Deanna Moran (Scarlett Johansson), based off ral life actress Esther Williams, is working on her latest picture. She is beautiful and lavish on screen, but when off screen, she smokes, curses like a sailor, has a thick NY accent, and is having a baby where she doesn’t know who the father is. It’s up to Mannix to spin this story to make Moran look innocent and charming, so that the gossip columnists Thora and Thessaly Thacker, twin sisters played by Tilda Swinton can get their big story. It’s funny to see how Mannix handles them as well as the other celebrities on the lot with a calm, cool demeanor. 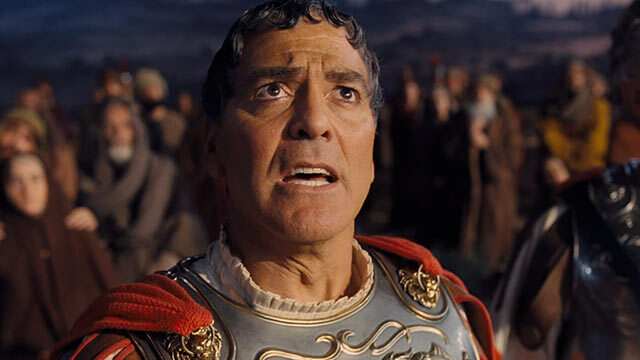 But the main obstacle for Mannix comes when the studio’s biggest star Baird Whitlock (George Clooney) is kidnapped from the set of ‘Hail, Caesar!‘, the studios big tentpole film of the year and is based on ‘Ben-Hur’. It even has the same subtitle ‘A Tale of the Christ’. Baird wakes up in a luxurious beachfront mansion in Malibu, which could very well be next door to a future Tony Stark to find himself in a “study group” of disgruntled Hollywood writers who have taken to the Communism party in hopes of having a big name like Baird on their side in hoping Hollywood pays them more money. Fisher Stevens and David Krumholtz are part of this “group”. But again, there really isn’t anything at stake here, as the “kidnappers” treat Baird with respect and let him come and go as he pleases. In fact, Baird is happy to be there, but that may be the fact in that he isn’t terribly bright. 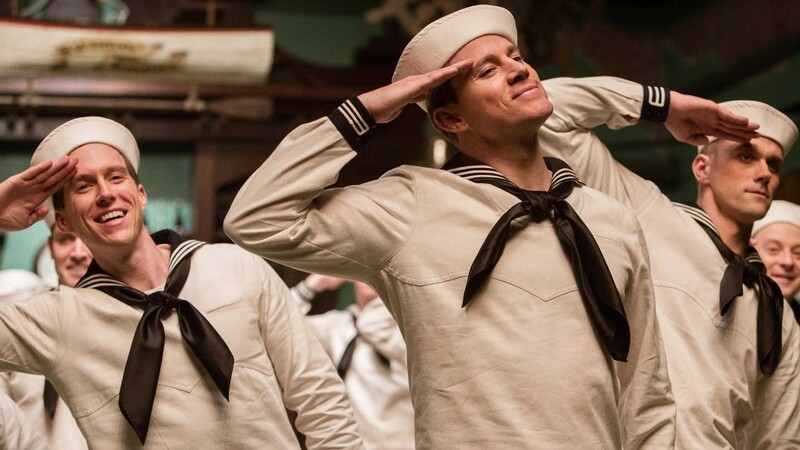 Perhaps one of the better scenes in the film is when Mannix enters the studio to see actor Burt Gurney (Channing Tatum) perform a musical and dance number in a sailor themed film, which is very similar to the best days of Gene Kelly and is perfectly shot with the help of Roger Deakins. It’s one of the best moments in the film, other than the scene where Mannix goes to the film editor’s (Frances McDormand) office to see a film, where the film’s biggest laugh is made. I wouldn’t say this is in the top of the Coen Bros. film resume, but it is a solid addition to their archive. There are many brilliant moments of subtle comedy and some great lines of dialogue with some very wacky characters, that are all put in line by the serious man that is Mannix, who we see really loves working with these crazy people in a land of make believe, rather than move to an easier and better job with an early Lockheed company. 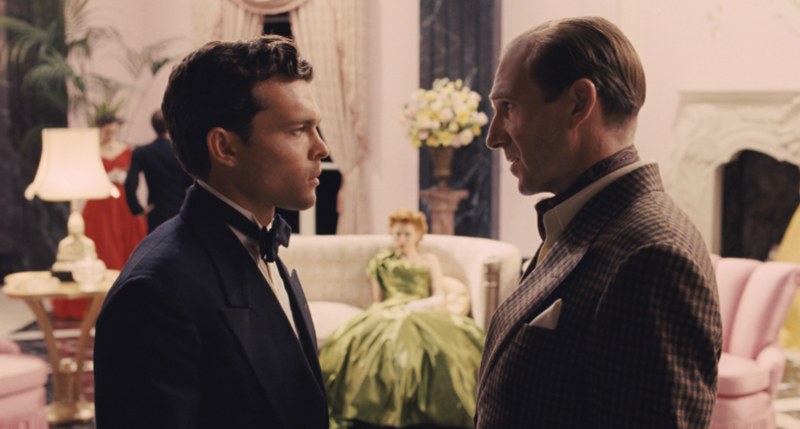 Every actor here is delivers an excellent performance and even if some of the jokes fall flat and actors only show up for a few seconds and then are gone forever, ‘Hail, Caesar!‘ still manages to entertain and provide laughs to keep the Coen Bros. brand alive and well. That, and this is one of the better January movies in a while! This entry was posted on Wednesday, February 3rd, 2016 at 12:08 pm	and is filed under Film, News. You can follow any responses to this entry through the RSS 2.0 feed. You can skip to the end and leave a response. Pinging is currently not allowed. « CBS Orders Pilot for Series Based on ‘Training Day’!! !